Is a man not entitled to the sweat of his brow? This is the opening question first pondered by an audio of Andrew Ryan in the 2007 video game, Bioshock. Bioshock was a first-person shooter survival horror game that upon release, received critical acclaim for its brilliant storyline and chilling environment. In fact, Bioshock is the prime example that many would use to argue the effectiveness of video games as an art form. So just what is it that makes the game’s story so compelling? What themes embedded within its narrative make it stand out from the cavalcade of games purporting some form of complexity on an artistic level? For me, it all ties to the opening question; Is someone not entitled to the sweat of their brow? Often times, a work of art is defined by its ability to either present a new philosophy or challenge a previously upheld philosophy. 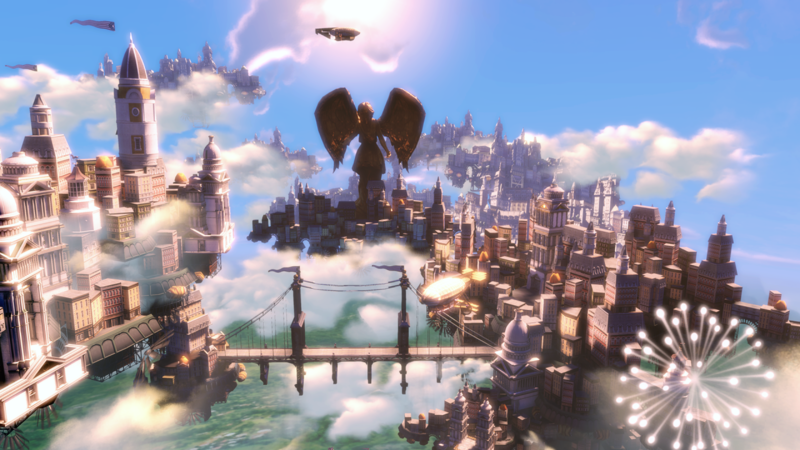 In the case of Bioshock, it challenged the previously upheld philosophy of objectivism, an idea created by the 20th-century Russian author and philosopher, Ayn Rand. Ryan highlights the essence of human atrocities occurring in the name of something or someone else. The Holocaust was in the name of the Nazi party, the Hundred Years War was in the name of “king and country”, the Crusades were in the name of God. Ryan’s counterproposal to altruism is that a society founded on only self-interested individuals is one without major conflict. However, this proposal inevitably led to Rapture’s ruin for a number of different reasons. The first reason was the rise in class distinction between the lower class of the city and the wealthy. Due to the fact that many people who migrated to the city were intellectuals and industrialists similar to Ryan, there was a dearth of blue-collar labor and maintenance jobs that were required to keep the city running. As a result of this, the infrastructure of the city crumbled and the lower class grew dissatisfied with Ryan. A mysterious character named Atlas was then able to coerce the lower class into taking up arms against Ryan. In response, Ryan created an army of “Splicers” addicted to “plasmids” that altered genetic coding. The substance from which plasmids were made was called ADAM. This is the second reason for Rapture’s downfall. ADAM soon became highly addictive to the residents of Rapture, and because Ryan was insistent upon a deregulated economy, ADAM was able to flow freely into the city. Ryan’s exact words were: “There has been tremendous pressure to regulate this plasmid. There have been side effects: blindness, insanity, death. But what use is our ideology if it is not tested? The market does not respond like an infant, shrieking at the first sign of displeasure. The market is patient, and we must be too”. This not only introduces the idea of laisse-faire economics, but also the philosophies of classical economists who believed that the economy was self-adjusting and would not need excessive government interference. The lack of oversight made it easy for the crazed and drug-addicted citizens of Rapture to abandon the purchase of ADAM altogether and begin killing each other over possession of ADAM. Since Ryan had no government in place to keep tabs, people could do whatever they wanted, creating a fully-fledged anarchic society. The question still remains whether Rapture was unsuccessful because Ryan followed an objectivist approach, or because Ryan’s approach was an abuse of Rand’s philosophy. The government was still a component of Rand’s vision of a functioning society, however, it existed only to ensure that the basic human rights of its citizens were met and to protect its citizens through a police force. With the exception of the security bots within the city, Ryan altogether ignored the function of government as a protector entirely. So was Ryan simply and slowly being reduced to an insane lunatic obsessed with the ideology rather than the practicality of objectivism? Looking at Ryan’s final appearance in the game before (SPOILERS!) his death, he reveals to the player that they were being controlled the entire time by Atlas. The player’s every action in the game was dictated by Atlas using the trigger word, “would you kindly?”. The revelation indicates that none of the player’s choices were their own. Ryan then utters the phrase, “a man choses, a slave obeys”. Ryan then commands the player to kill him as he continuously repeats the phrase. From this interaction, we see the nature of Ryan’s dependence on objectivism. His belief in individuality and the free choices of humans hold to him to the point that every warning sign of Rapture’s crumbling infrastructure is unable to sway him from a strict interpretation of Rand’s philosophy. He sees the city as it is, a dystopian horror, but accepts it as the free world embodiment of his ideology. No matter the result of the society, Ryan was determined to hold true to his ideology. This can be interpreted as Bioshock admonishing overdependence on the ideologies of objectivism rather than adapting its philosophy to a real-world approach. The necessity of individual work given merit is a valid assertion, however, over-reliance on objectivism as a philosophy could potentially tip the balance between individual and government, and would instead instill a dystopic society where the wealthy rule everything while leaving the masses to suffer. That imbalance between rich and poor would create a class upheaval, which would then lead to a toppling of the pre-established system and would plunge the society into chaos.